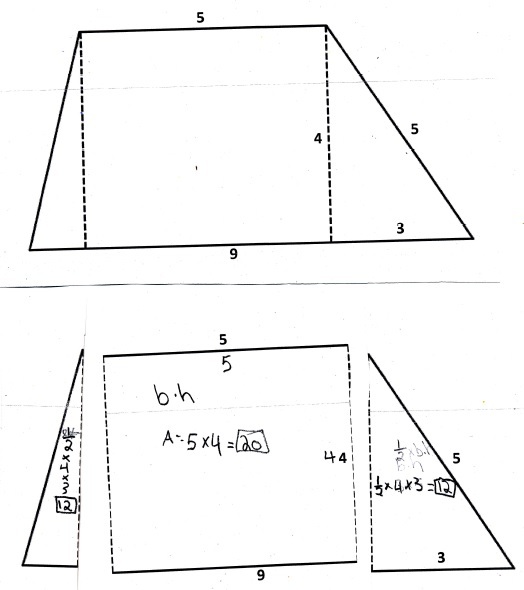 Students have trouble with irregular shapes largely because they cannot visualize or determine the measures the dimensions of the individual parts. The photos below show a hands on activity to help students with these challenges. The students are cut out the individual shapes and write in the dimensions. This method allows them to see the individual parts and the respective dimensions. (The second has calculation errors.) 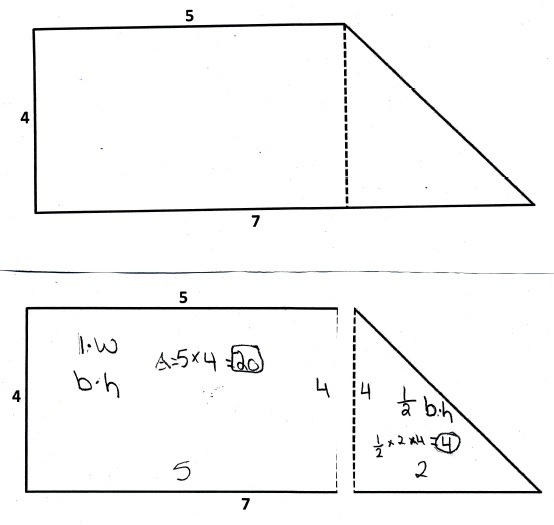 This activity is followed by a handout in which students can shade in the different parts which is a step towards more abstraction – CRA. 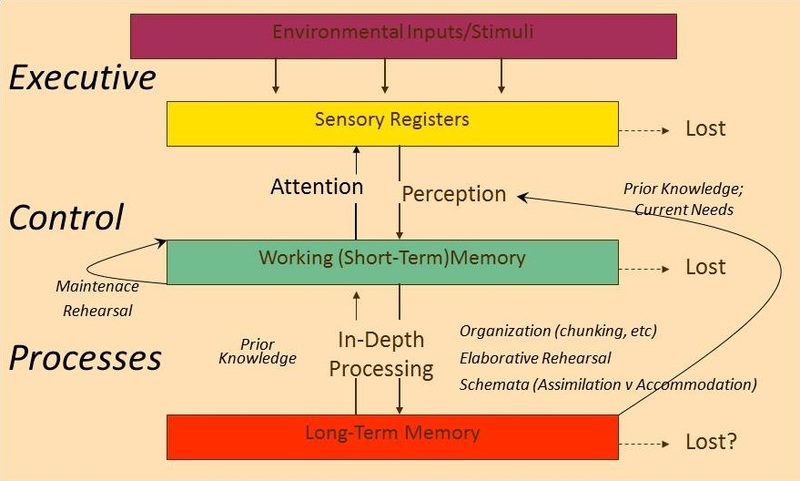 Percents is a very challenging concept for students often because it is presented in symbolic terms, e.g. 40% of a 25 is what? Students typically understand what 100% and 50% mean. The concept of percent can build on this intuitive understanding. Here is my approach using a Concrete-Representation-Abstract approach (from a lesson taught today). First, I ask the students to match common terms used for various percents on a percent number line. The students typically understand the first four terms. 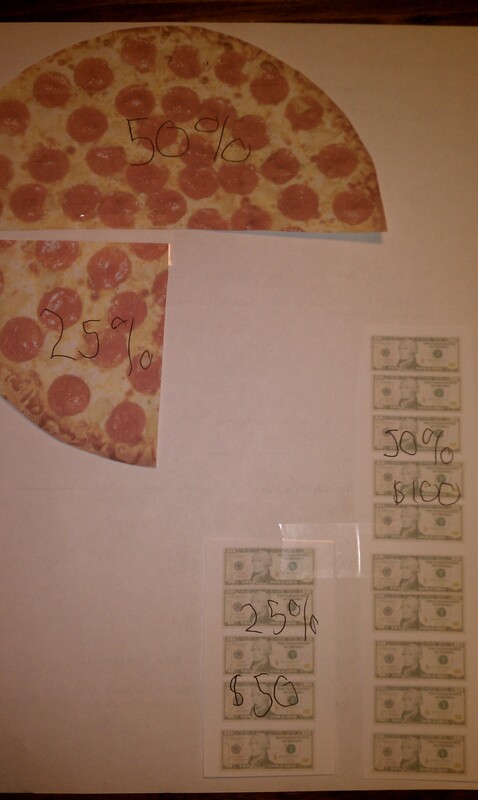 I build on their knowledge of 50% first by having them cut (see below) a pizza into 50% then 25%. Then they cut $200 into 50% then 25% and then count the money. Many struggle with 1/4 and 3/4 (25% and 75%). The little less than half is the building block because it is the first step away from 0%, 50% and 100%. Here’s how I use this step (below). 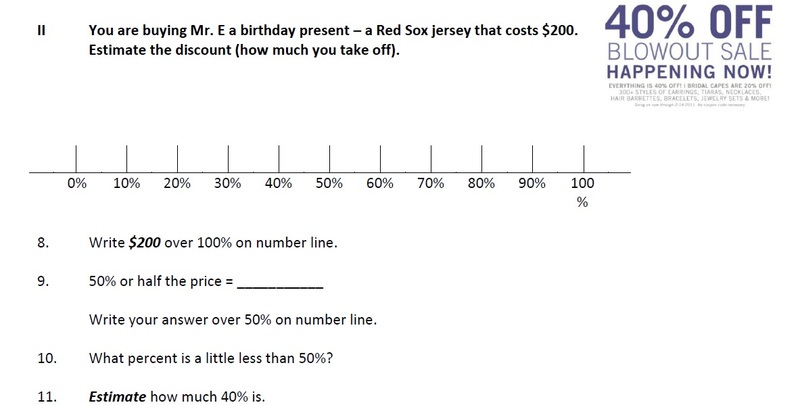 The students compute 50% or half of the $200 then estimate 40% which is “a little less than 50%.” If a student struggles with this step, we go back to the cutout money and they cut a little off of the 50% and guess how much money is left. Three ways to represent perimeter: I taught a lesson on perimeter to a 5th grade class. First I had them create a rectangular pen for their animals and they counted the number of fence pieces. Then we drew a rectangle to represent the pen. Finally we looked at the formula. This allows a deeper conceptual understanding of the concept. This is known as Concrete-Representation-Abstract – representing the concept at all three levels.